Today's photo is from an iPhone, unedited, and not from a very far distance, but I still had to share! 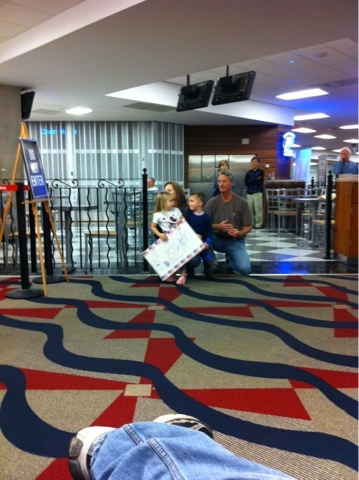 It's a picture of a family waiting on their soldier at the airport that we witnessed tonight. I so wish we could have seen the reunion, but unfortunately we had to leave. God bless you, Staff Sergeant, and welcome home!